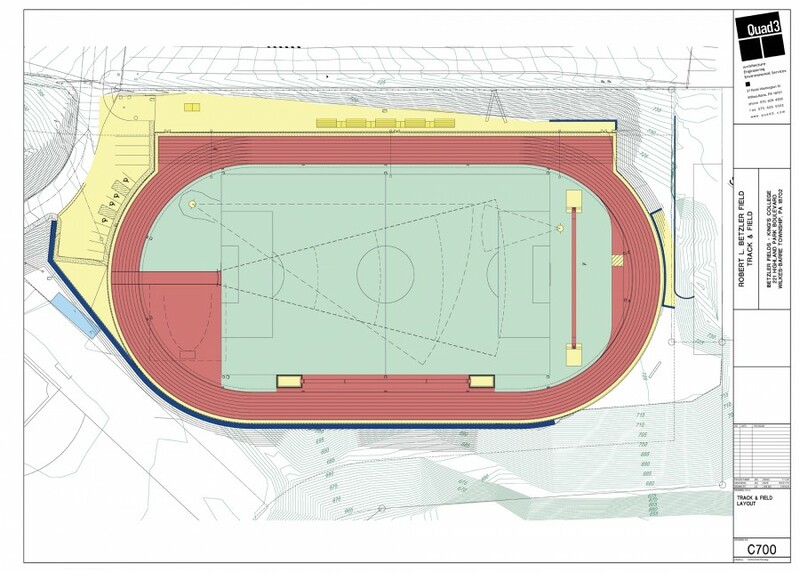 Design included a soccer field, baseball field (which included both home and visitor dugouts), softball field, field hockey, and football field. 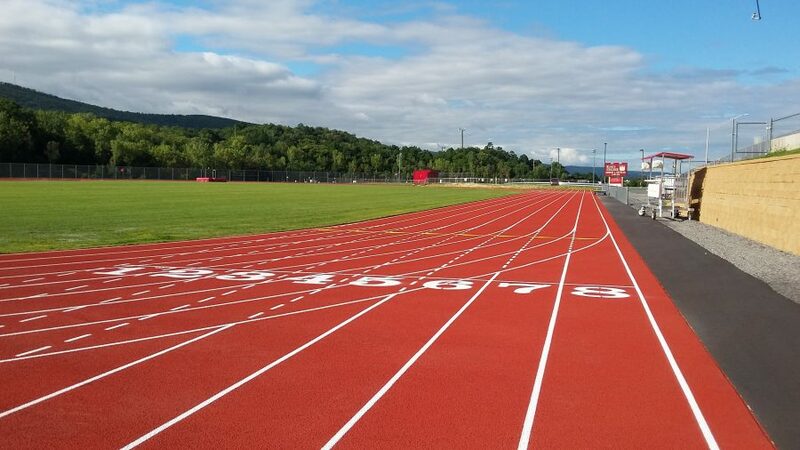 An ingress roadway was required as well as parking area and field house. The fieldhouse design incorporated the ability to expand in the future to accommodate new larger locker rooms, storage, official’s facilities, etc., as needed. 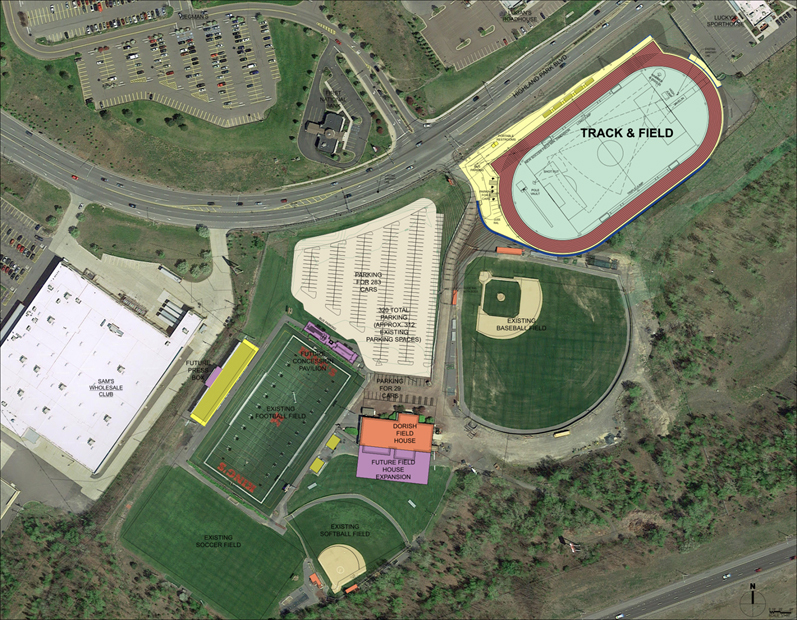 The last phase of the project includes a new NCAA Regulation Track & Field on the northeastern corner of the property. 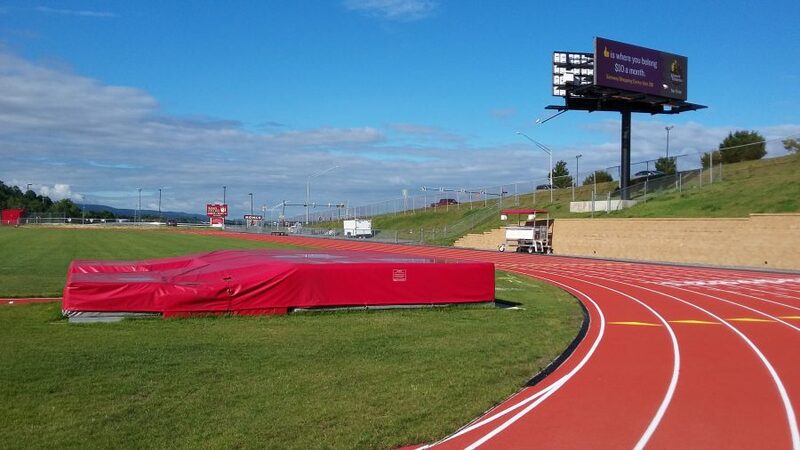 The $3 million dollar facility includes an 8-lane track, all new field event facilities, steeple chase event, dual 30/50 foot-candle lighting, scoreboard, automatic timing equipment, etc. Security lighting, landscaping and fencing were also project requirements. Designs included stadium bleachers with press box and field equipment.